Packaging matters a lot for an e-commerce business. Unlike physical stores which can impress the consumers with the service and environment, an online store can only delight the customers by developing a user-friendly website and using well-designed packages, the latter is the first thing consumers will see after anxious waiting. Good packages not only provide extra protection for the products, but also help to establish an e-commerce brand. In this case, as the full-service order fulfillment service provider, ChinaDivision provides custom packaging fulfillment service for world-wide customers. By cooperating with China local qualified package suppliers, ChinaDivision has developed exclusive custom packaging solutions for quite different types of products, including the fragile product, irregularly shaped products and merge packed products. Custom box and filler, extra protection for the products. Unlike Amazon FBA who only uses standard sized boxes, ChinaDivision not only owns a varies of packing materials with all sizes, but also accepts any kind of custom packaging requirements. 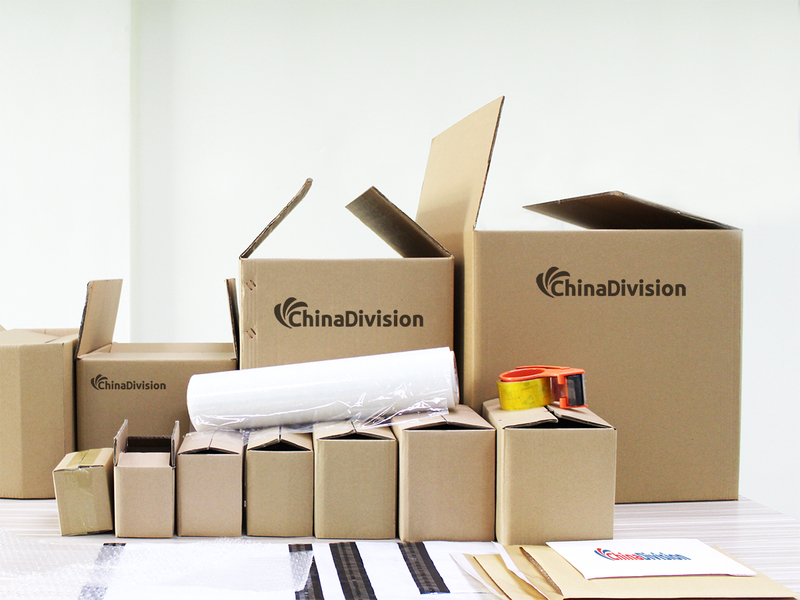 ChinaDivision custom packaging fulfillment service is dedicated to provide the most suitable package for every unit of product. In order to maximally prevent the products from shaking and bumping in long distance transport, the outer packages and filler are highly-customized. For example, there is a ChinaDivision customer who sells electric hair brush, although the brushes are very quality, they still get negative feedback because the outer boxes corners were frequently knocked flat. (fulfillment services) In order to not let the packaging damage affects the shopping experience, ChinaDivision developed a packaging solution for them, wrapping the boxes’ corners with customized shaped expanded polystyrene. This packaging solution not only improves their customer satisfaction, but also adds very little actual weight and volume weight on each package. Custom package design service helps you to establish an e-commerce brand. As was mentioned in the article Branding Tips for Sourcing from Alibaba, well-designed product package plays an important role in branding since it’s the first thing a buyer lays his/her eyes on after receiving the online purchased products. (fulfillment services) Custom designed packaging is not just about printing logos on the outer box, there are more things can be done. ChinaDivision brand upgrading service is a comprehensive service to help the customers to establish an e-commerce brand and draw a good brand image, custom package design service is one of the most important service items in it. ChinaDivision custom package design service can be divided into two parts, design and pack. The customer can choose to design the packages in house, or commission ChinaDivision to do the work, ChinaDivision will provide several design drafts and modify to satisfaction. (fulfillment services) After determining the package designs, ChinaDivision will have them manufactured and sent to the ChinaDivision warehouse directly. Then after someone placing orders, the warehouse staff will pack the products as the customers’ requirements and ship them out. With the help of the protective and branding-friendly packaging solutions provided by ChinaDivision, the e-commerce business owners can improve their stores’ shopping experiences and establish a successful e-business brand with less hassles and logistics budget.